Mark May 10 on your calender, although it is probably already marked. That’s because it’s Mother’s Day and by default, Mother’s day is always shown on all calenders. 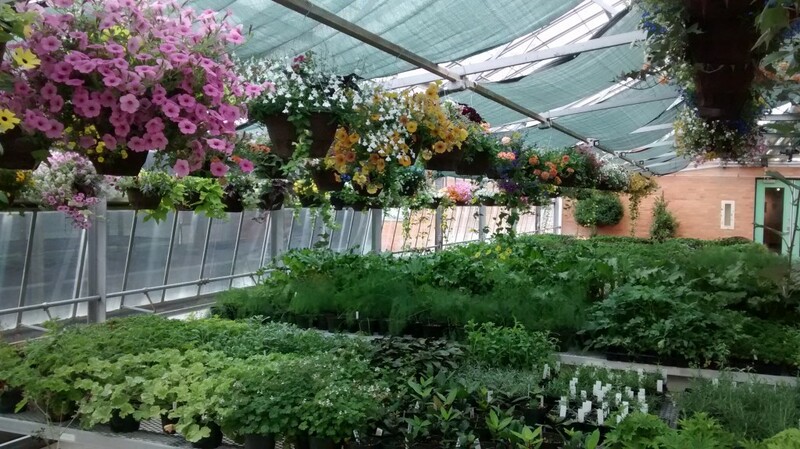 Recently, I had a chance to go behind the scenes and got to see how preparations were coming along for the Spring Plant sale. 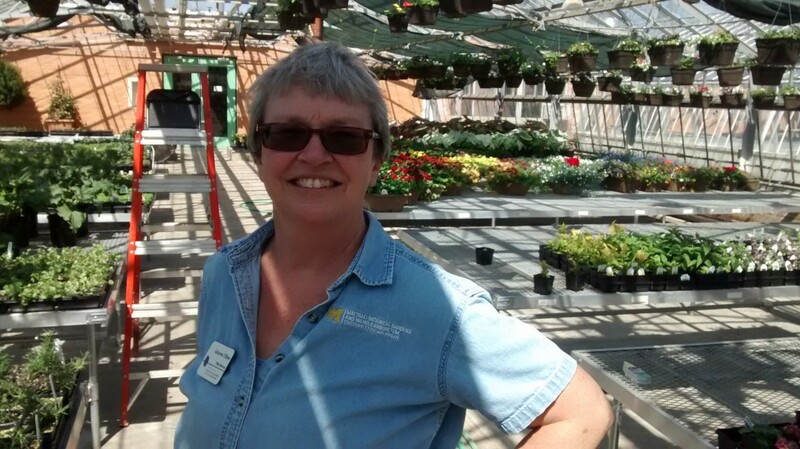 Collections and natural Areas Specialist Adrienne O’Brien leads a team of University of Michigan student workers and adult volunteers that plan, plant, grow and design containers and potted plants for the plant sale. The sale is a great excuse to take a trip to the Gardens. See you out there. If you are planning to drive south this month to escape the winter, you might want to think about adding a stop at the Atlanta, GA Botanical Gardens to experience the Imaginary Worlds exhibition. Thousands of annuals are growing on metal forms covered with netting and growing medium to bring to life fanciful sculptures. The topiary sculptures are made from individual plants. The gardeners/artists of the Atlanta Botanical Gardens teamed up with International Mosaciculture of Montreal to create fabulous works of living art. The Earth Goddess is 25 feet tall. Imaginary Worlds is the first major exhibition of its kind in the U.S. There is only a small window of opportunity left though, the giant topiary exhibition Imaginary Worlds closes at the end of October. The agave leaves have a rare variegated green and white color. The flower stalk has grown through the roof of the conservatory. I encourage you to get out to the Botanical Gardens and see it. This type of agave blooms only once in its lifetime and then it dies. So, when it’s over, it’s over. The flowers are producing an abundance of real agave nectar, not the manufactured stuff you find in the store. Still not decided what to do for Mother’s Day Weekend? 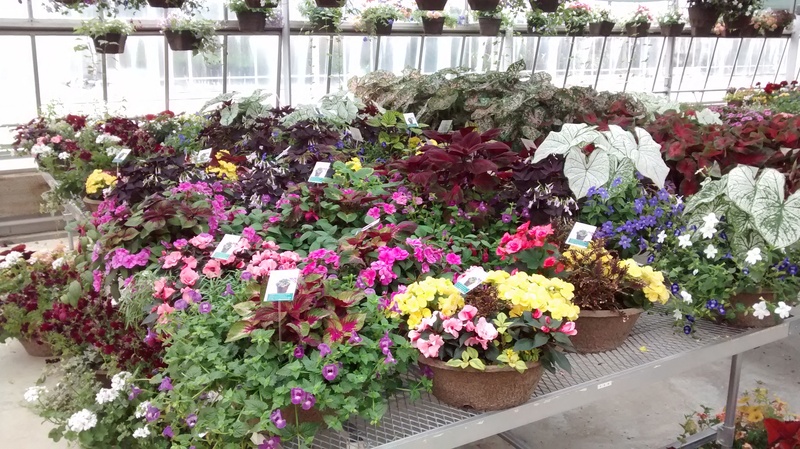 Why not take Mom out to the big plant sale at the Matthaei Botanical Gardens in Ann Arbor. 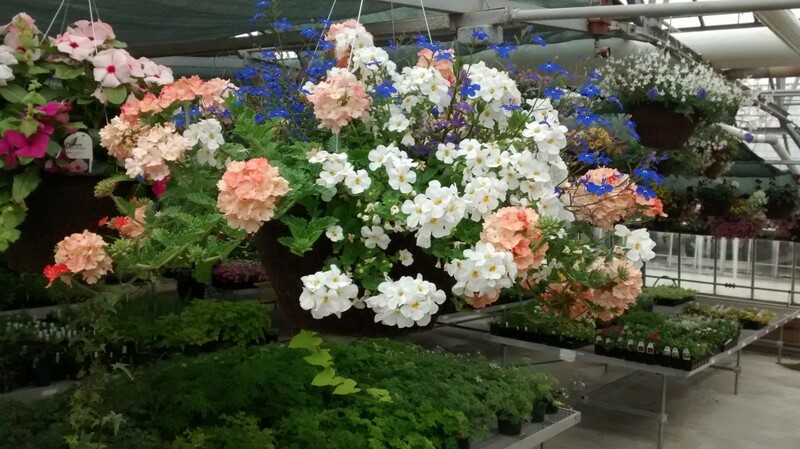 This is a wonderful chance to see what’s new in the world of horticulture and purchase some plants that may be very hard to find elsewhere. Members of the Gardens get to look everything over on Friday evening and make their purchases first before the rest of the public is let in. Here’s a little secrete: if you are not a member, you can show up on Friday anyway and sign up for your membership right there at the door and they will let you in with full Member’s privileges…just as if you were a 30-year member! Member’s night runs 3PM-7PM Friday May 7th. 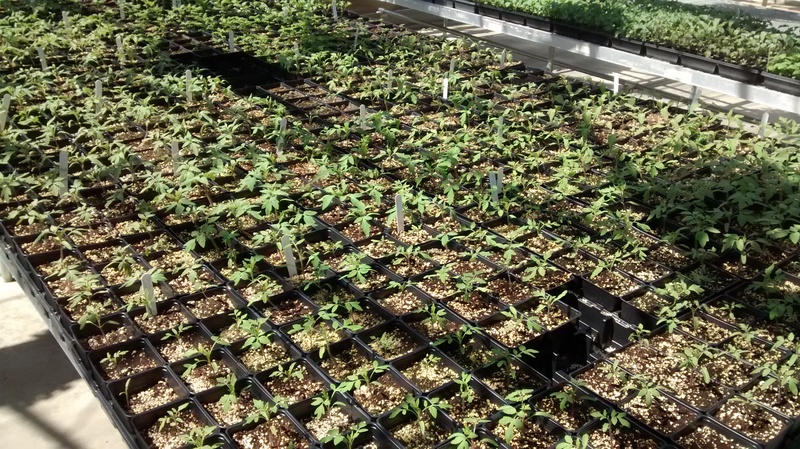 Along with all of the plants there will be a Party (members only of course) featuring Grizzly Peak Brewing Company, Sandhill Crane Vineyards, and refreshments by Angel Food Catering (Michigan Radio Network is also a sponsor). Plus there will be discounts on plant sale purchases and gift memberships that evening as well. Since the Sale takes place under a huge tent, it will go on rain or shine. 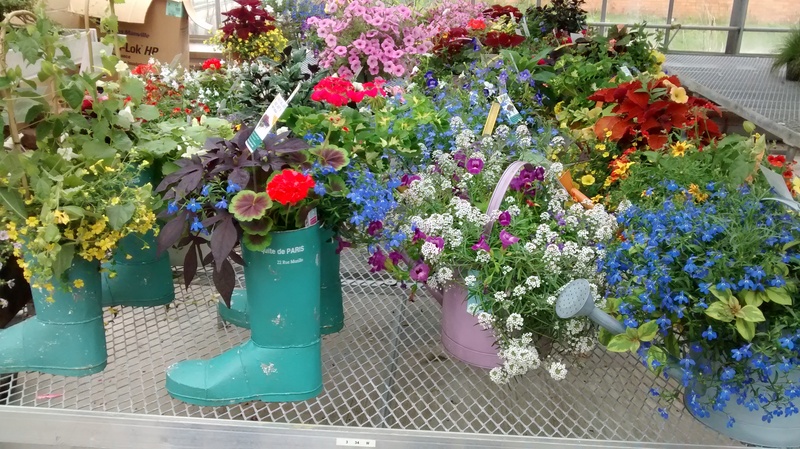 People are encouraged to bring along wagons or garden carts to carry their plant purchases. The Sale continues Saturday from 9AM to 4PM and Sunday 10AM to 4PM. Matthaei Botanical Gardens is located at 1800 N. Dixboro Road, call them if you get lost along the way ;): 734-647-7600.